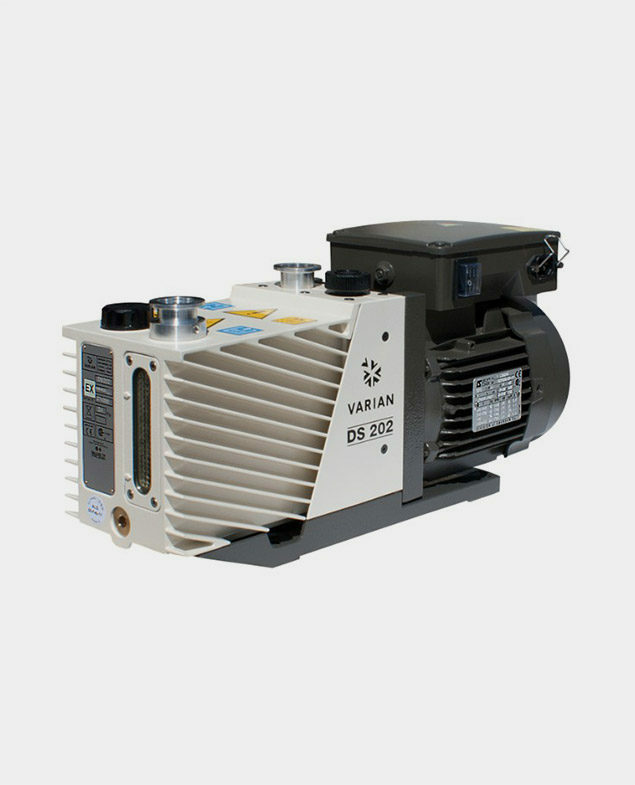 Simple and highly reliable design, these field proven rotary vane pumps provide excellent vacuum performance. 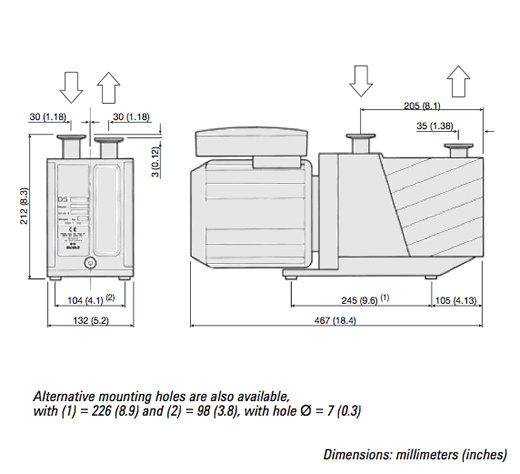 Agilent’s quality and manufacturing standards ensure that the DS Rotary Vane Pumps provide high pumping stability for light gases, low noise, minimal oil backstreaming, and a long operating life. The pump’s two-stage design allows for low operating temperature, minimal backstreaming at low pressure and good pumping efficiency and gas ballast in the low 10-2 mbar region. DS Rotary Vane Pumps conform to European Union directives (CE) and Restriction of Hazardous Substances (RoHS) requirements, and all pumps are UL and Canadian Standards Authority (CSA) approved. 9499315.